On May 9, our members are invited to a very special picnic at the Asheville Botanical Gardens. We’ll arrive at the Gardens at 10:15 and meet the Gardens’ manager, Jay Kranyik, who will take us on a botanical journey of native discoveries, enlivened by lots of stories and interesting comments. We’ll then proceed to the meadow and gazebo area where we’ll have a casual picnic. There are two picnic tables there, and benches to sit in the gazebo. Please bring your own salad/sandwich, etc… as well as drinks. Some cookies or a simple shared dish would also be nice and in the casual spirit of the event. And come prepared with good walking shoes, as Jay is a fast walker! If you wish to carpool, we’ll meet at the Weaverville Town Hall parking lot, and leave promptly for our destination at 9:45. 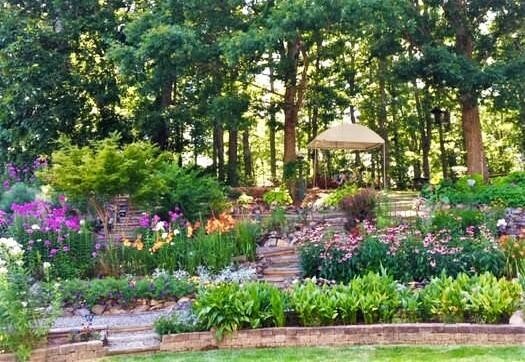 Membership: If you are interested in becoming a member of this garden club, click here to see our About Page for details. We truly welcome you to our friendly and diverse group. Talk to us: contact any member or use Contact Us page. Program Calendar is a tab on Home Page. To keep up with new information posted on this website, go to the home page. Scroll down on the left black column and fill in your email address in the space provided. Each time a new post is added, you will get an email, (not each time a post is updated, though).